Gear Dyes in Division 2 are cosmetic items in the game that you find in the orange crates around the game. The Division 2 dyes change the color of your gear, such as backpacks and the like. And, as far as we know, they only drop out of orange crates in The Division 2. Which is annoying, because said crates are often very difficult to spot. 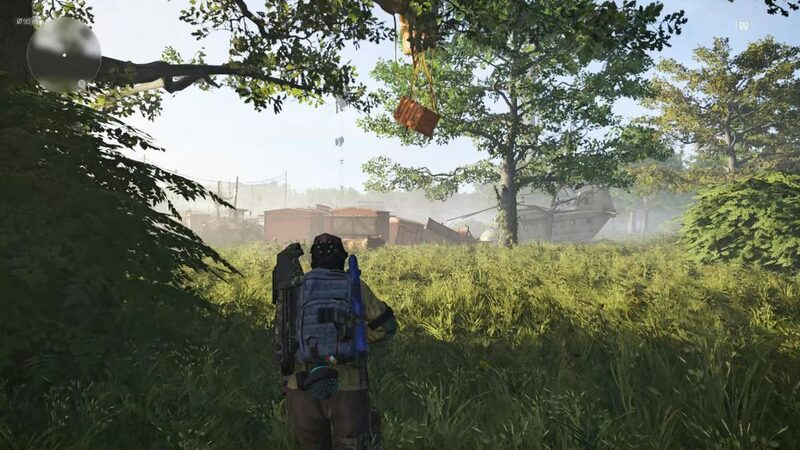 So, we’ve put together our Division 2 Dye Orange Crate Locations guide to show you where you can find those pesky orange crates, and thus, the dyes within them. To find gear dyes in Division 2, you indeed have to look in the orange crates suspended in different locations all over the map. As far as we can tell, this is the only way to obtain Division 2 gear dyes. And when I say suspended, I mean that literally; they are always hanging off of something, be it trees, cranes, banners, bits of architecture, etc. You have to keep your eyes up every now and again to spot them. To open them, all you have to do is shoot them, and the loot will fall out. Mind you, you can only do this once per crate. They do reset, but after you open them for the first time, they drop gear only, no dyes. Now, there’s a bunch of orange crates in Division 2, and we found ten of them. One was south of the White House, in the circular area. Another was in West Potomac Park, along the water in front of the Washington Monument, near a ship. The third one was slightly to the northwest of the Lincoln Memorial. And, the general idea stays the same: keep your eyes up. They’re always hanging above you, and you can easily miss them if you’re not always aware of your surroundings. For more precise locations of the ten different orange boxes in Division 2 that we’ve found, check out our video embedded below. Yes, there are more, but again, this should be quite enough, at least, at the time of writing. If you need further assistance with the game, I invite you to mosey on along to our other Division 2 guides, including Basement Storage Key – American History Museum Secret Door, 7.62 Extended Magazine Location – How to Get, and many others.